The theme, as the title indicates, is kitsch en el estilo Espanol. I start out with a female singing/dancing duo who were gigantic across Europe in the late Seventies but were barely (never?) heard of over here. The ladies were Mayte Mateos and María Mendiola, and their name as a duo was “Baccara.” They were dancers who began as flamenco/disco specialists (that's already two talents) and were converted into a successful musical act by a German record mogul and a Dutch producer-composer. And because there is no better way to prove your “international” cred than by singing a song about the Old West, I present Baccara's Western saga “The Devil Sent You to Laredo.” The songwriter rhymes “Laredo” with “desperado” (des-peray-do) – what more can you ask for? A few other Baccara tunes deserve honorable mention, particularly their covers of “Yummy, Yummy, Yummy” and “Light My Fire” with a new opening (that includes the line “oh lover baby, why don't you reach out for love?”). 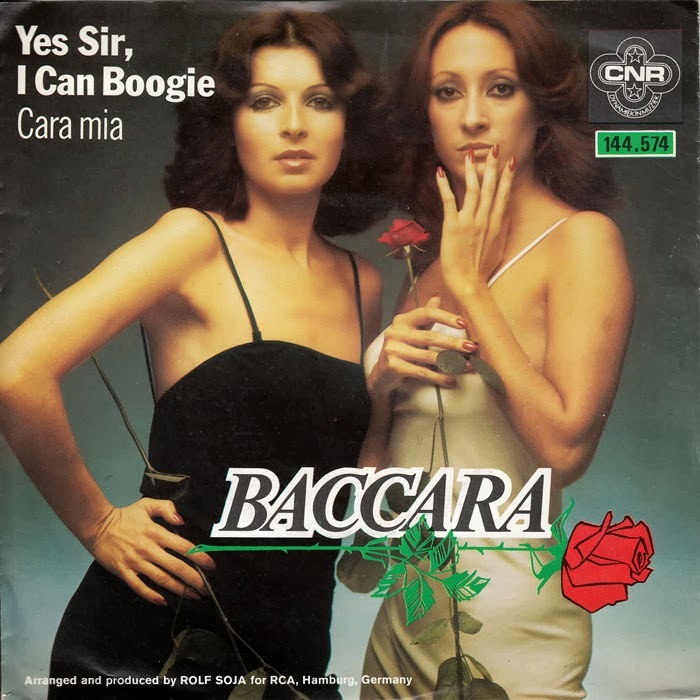 Baccara in fact participated in the Eurovision Song Contest (after having had hit singles and somehow representing Luxembourg – don't ask). 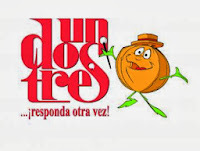 Staying in the Spanish groove, I shift the spotlight from music to television with an extremely unique clip from the Spanish TV game show Un, dos, tres... responda otra vez. Politically correct it ain't. First, some details about the show: Un, dos, tres... was on for 10 seasons broadcast over a 32-year span (1972 to 2004). I won't even try to elaborate its three-part construction, but it seems that the single best feature of the show (at least in its initial incarnation) is that there were a group of people cheering for the contestants to win (the host and his “secretaries,” cute babes wearing glasses) and another group haranguing them to lose (this should be tried on American shows). The clip below comes from the ninth season, which aired from 1993 to 1994. In that season two new twists were introduced to this already complicated show (in which contestants answered questions, did physical stunts, and then had an “auction,” consisting of “luck and psychological games” – !). The first change was in the rules – contestants now had to “buy” their way into later rounds. The second alteration was that Paloma Hurtado, one of the well-loved women in the show's cast, to cite Wikipedia, “could not join the cast on the first months because she had been accidentally shot in the face weeks before the launch of the season and was recovering from the surgery.” Happily, Paloma returned to the show only a few months later. I thank fellow kitsch aficionado (and game show expert) Rich Brown for leading the way to this strange gem. 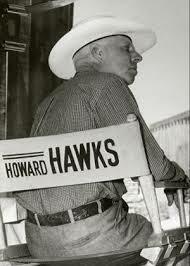 Of all the master directors in Hollywood’s “golden age,” Howard Hawks remains the most enigmatic. Welles, Hitchcock, Ford, Lang, Von Sternberg — all had readily discernible visual styles, while Hawks avoided every kind of visual flourish and concentrated instead on pure storytelling. He also not only made films in just about every great Hollywood genre, he made seminal films in those genres, a feat that was beyond the mega-talents mentioned above. A comprehensive festival of Hawks’ work (39 in all, spanning 44 years) — the first such in a long time in the New York area — is going on now at the Museum of the Moving Image in my old nabe of Astoria, Queens. In the past two weeks I’ve watched 10 of Hawks’ films (both at the museum and on disc in preparation for a segment on the festival for the Funhouse TV show), and Hawks’ mastery of genre remains breathtaking. The key bonus and blessing of this festival is that the features are all being shown ON FILM, which is getting increasingly rarer and rarer in this digital era. The Cahiers du Cinema critics in France (who of course later became the standard-bearers of the nouvelle vague) and Andrew Sarris in this country were the first to notice what Hawks’ seemingly dissimilar films had in common. The first tenet they deemed “the code of professionalism” — the fact that the heroes of his pictures took their professions very seriously, and that the mark of a person’s worth was how well they did their job. 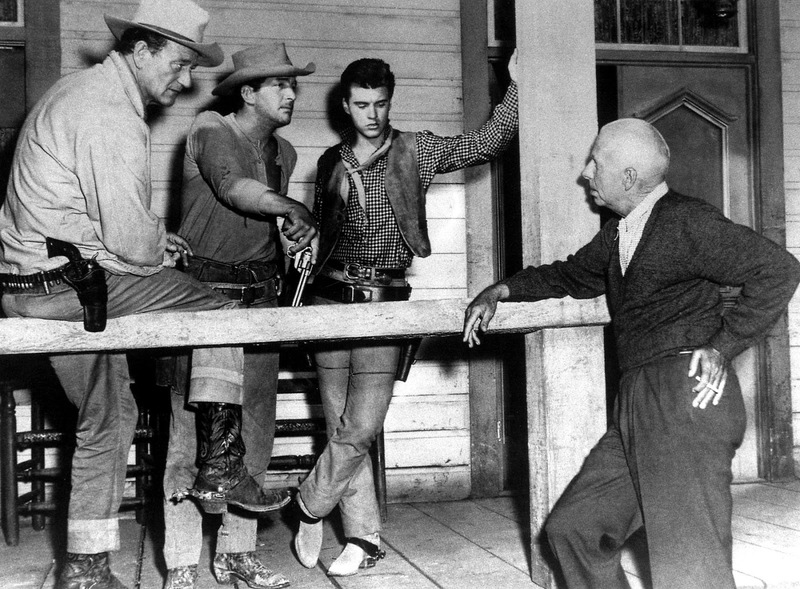 This extended from Walter Huston risking his life as a steadfastly honest prison warden (The Criminal Code, 1930) to the trio of cowboys guarding a prisoner whose confederates want to bust him out of jail (Rio Bravo, 1959). One of the single best examples is the sublime Only Angels Have Wings (1939), in which Cary Grant plays a flyer in South America who is willing to lay his life (and those of his colleagues) on the line for what seem like ridiculously routine assignments. The second tenet of a lot of Hawks’ dramas is that they concern a ragtag group of individuals who band together to accomplish something in a short span of time. This occurs frequently in his male-bonding films, which are miles away from today’s perception of machismo in the movies. 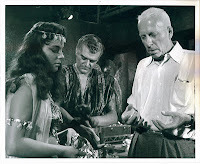 And then there were the “Hawksian women.” Although he himself was a very old-fashioned gent (see the documentary below), he made numerous films featuring active, independent, wise-cracking women. 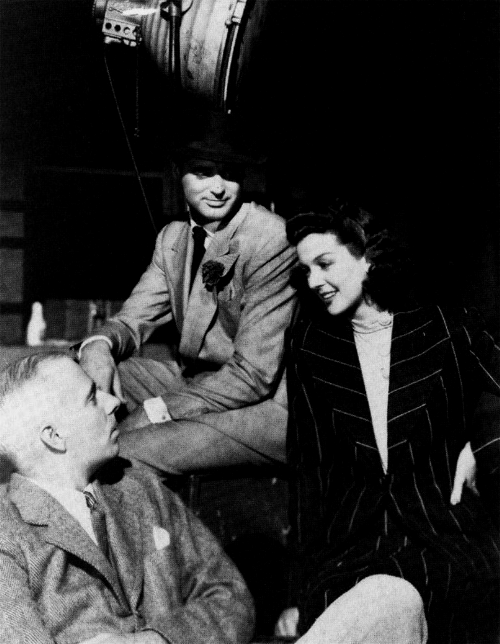 His female characters frequently make the first pass at the men and are also career-minded — the perfect example being Rosalind Russell’s Hildy Johnson in His Girl Friday (1940). 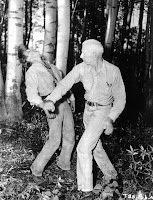 The men in Hawks’ screwball comedies are not the noble figures from his male-bonding pictures. They are generally dignified gents who have their dignity slowly stripped from them as they play the comic foil to the female leads. Cary Grant became the personification of that character, but Gary Cooper and Rock Hudson (in the underrated Man’s Favorite Sport?) did wonderful jobs playing essentially the same part. Hawks’ visual style is indeed “invisible,” except for the feverishly wild compositions in Scarface (1932), his gorgeously-lit images of some of his female stars (most notably Bacall in To Have and Have Not), and "artsy" camera movements of his silent feature Paid to Love (1927). Sarris noted that he crafted “good, clean, direct, functional cinema, perhaps the most distinctively American cinema of all.” Hawks favored medium shots of his characters — to further Sarris' point, the composition is called the plan américain by the French. The modernity of his characters certainly makes his films age well, but what about the lengths of his films? Both Hawks’ action pictures and his comedies are much longer than those by his contemporaries (for example, Rio Bravo is 141 minutes, and the very light-hearted Man’s Favorite Sport? (1964) is a full 120 mins). There are two elements that make his films so breezy despite their somewhat daunting running times. 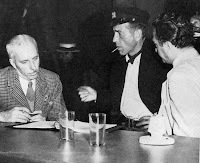 The first, of course, is the casts — he flitted from actress to actress (although he did use Marilyn twice, both brilliantly), but he made five films with both Cary Grant and John Wayne (that fact alone says a lot about his disparate output), and worked more than once with Cooper, Cagney, Robinson, and Bogart. He also used memorable supporting actors, the uncommonly mom-like (or wife-like, if you please — see Mark Rappaport’s 1997 video-essay The Silver Screen: Color Me Lavender) Walter Brennan being a favorite. But the central reason Hawks’ films are so compulsively watchable despite their length is the roster of first-rank screenwriters he used. 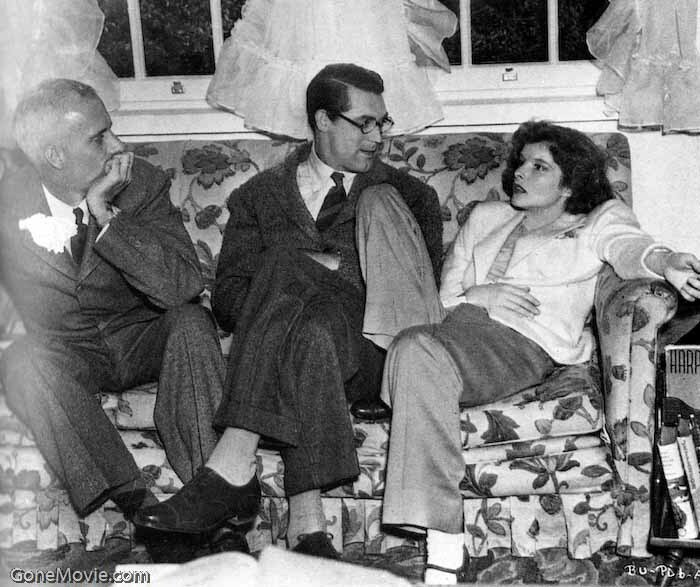 In addition to the great Ben Hecht, Jules Furthman, and Leigh Brackett (whom he worked with a lot), he filmed scripts by Billy Wilder, I.A.L. 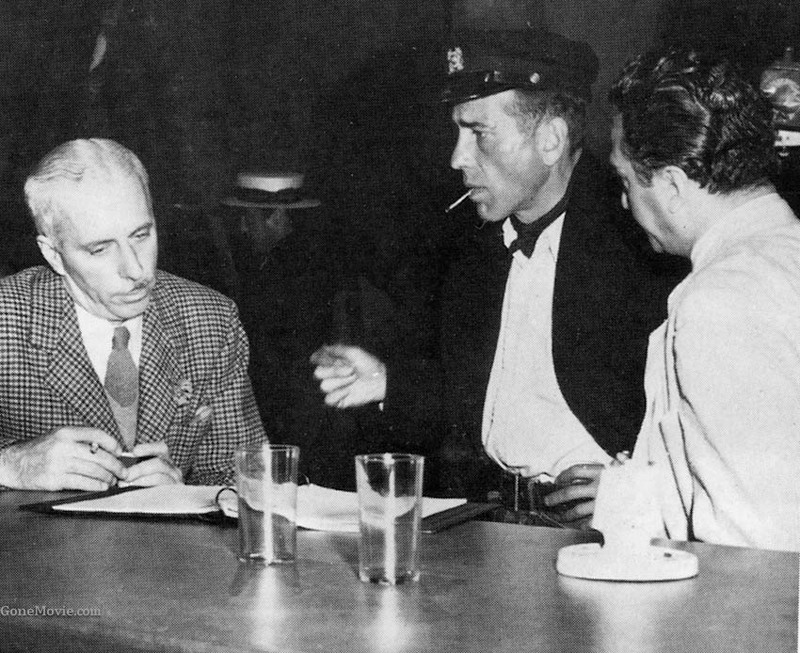 Diamond, Charles MacArthur, Dudley Nichols, Charles Lederer, W.R. Burnett, and John Huston. 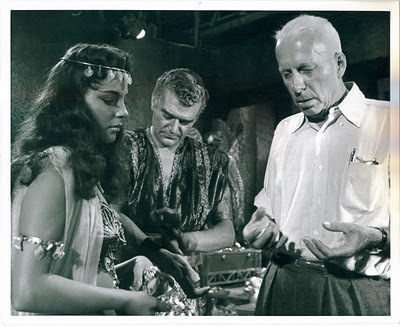 He also had the distinction of being the only director who had a sterling relationship with William Faulkner — he filmed several Faulkner scripts, including the seemingly unlikely Land of the Pharaohs (1955). One of the singular joys of seeing a bunch of Hawks films in a row is hearing the same lines of dialogue (and, in some cases, seeing entire physical bits of business) crop up in different films. To conclude this overview, there is no substitute for clips. I urge those in the NYC area to check out the festival at the Museum of the Moving Image. MoMI had one of the best retrospectives of the last decade with its comprehensive Jacques Rivette fest (which I count as one of the most enlightening and important repertory festivals I’ve been to in my life). Most of the films in the Hawks-fest are not as rarely shown as those in the Rivette retro were, but the experience of seeing a number of them in a row, in pristine film prints projected on a screen in an auditorium, is one that can’t be beat. His Girl Friday (1940) is another Hawks comedy that was a wellspring of a lot of modern situation comedy. This remake of The Front Page proceeds at a frantic pace and is one of the greatest “battle of the sexes” comedies. 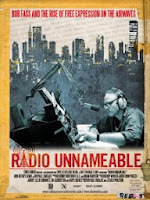 It fell into public domain some years ago, so copies of it can be found everywhere (it is available in its entirety online, but is, again, best seen on a movie screen). Here is a sequence that clearly inspired the overlapping dialogue found in the work of Funhouse favorite Robert Altman (when asked about his use of many characters speaking at once, Altman would point to screwball comedies as having done it years before he did). The final Hawks screwball comedy is Man’s Favorite Sport? (1964). Rock Hudson stars as a fishing “expert” who has never actually fished in his life (he’s just absorbed info from customers in the store he works in). The film finds Hudson playing yet another character who is hiding something — we return to Mark Rappaport, this time to Rock Hudson’s Home Movies.